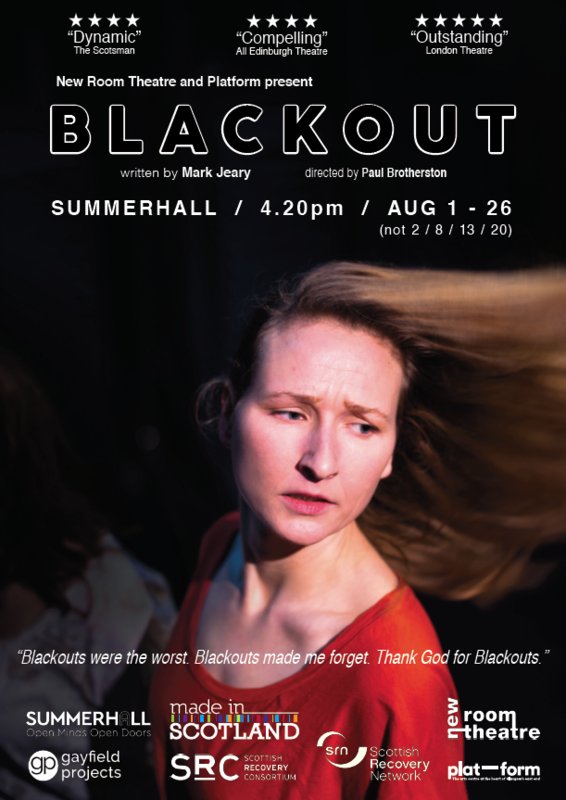 Our 2016 hit production 'Blackout' is returning, this time at Edinburgh Festival Fringe 2018. "Blackouts were the worst. Blackouts made me forget… Thank God for blackouts." For the 2018 version of the production Mark has replaced one of the previous characters with a brand new Palestinian character. For this 2018 run Blackout has been selected as part of the Made in Scotland showcase. Additional support has also come from Scottish Recovery Network, Scottish Recovery Consortium, Gayfield Projects and Edinburgh Alcohol & Drug Partnership. Thank you also to Serenity Cafe, Edinburgh. Below: production shots from the 2016 tour of Blackout - photos by Mihaela Bodlovic.